These screw plug immersion heaters feature a dead front nylon twist-lock grounded plug with receptacle. Cord is supplied by the user. 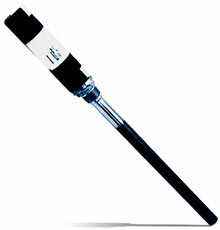 The cartridge element is brazed to a standard 1/2" or 3/4" screw plug. Watts Phase W/in2 Dimensions - cm (in.) Std. (*) Specify Voltage: Insert 120V for 120 Vac or 240V for 240 Vac.